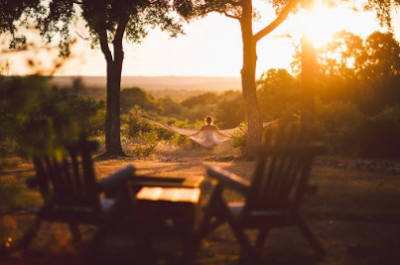 Sage Hill Inn & Spa in Kyle, Texas, is a boutique restaurant, inn and spa with hiking trails and stunning vistas. Several “girls get-away” houses are onsite with private hot tubs and fire pits. The restaurant uses vegetables and flowers from their gardens. For our dinner, Executive Chef Autumn Wallace prepared a Brown Sugar meatloaf and a Handkerchief Pasta with Roasted Mushrooms, Venison and Pork Sausage. A hearty Texas breakfast of eggs cooked to order, oatmeal, and sausage links is included.